After you shutdown Windows 8, you may find that about 1 minute later, it will go back to the Windows desktop again. And the computer has not been actually turned off. You can solve this problem according to the following instruction. 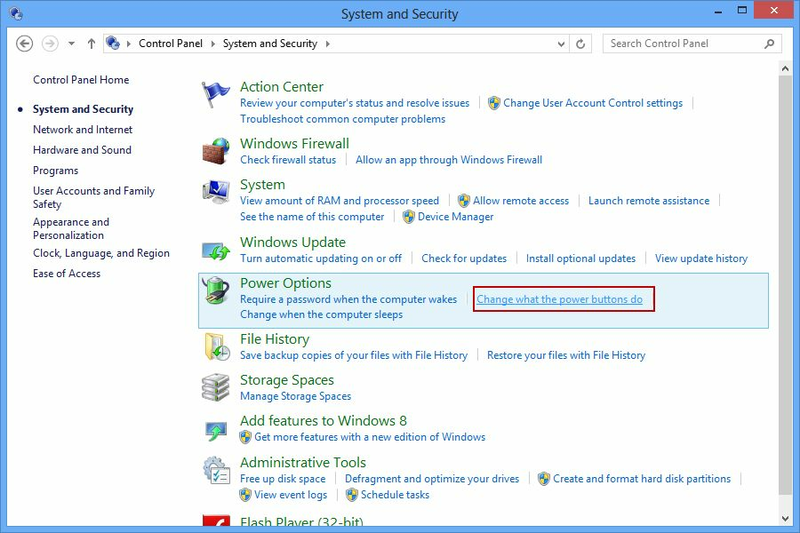 1) In the Control Panel, click the "System and Security" (Figure 1-1). 2) It will pop up the "System and Security" window. Click the "Change what the power buttons do" in the "Power Options" (Figure 1-2). 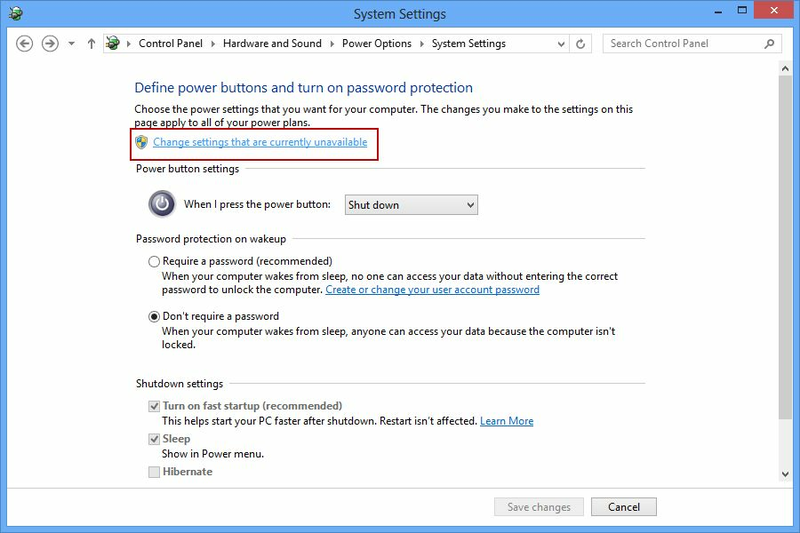 3) In the pop up "System Settings" window, click the "Change settings that are currently unavailable" (Figure 1-3). 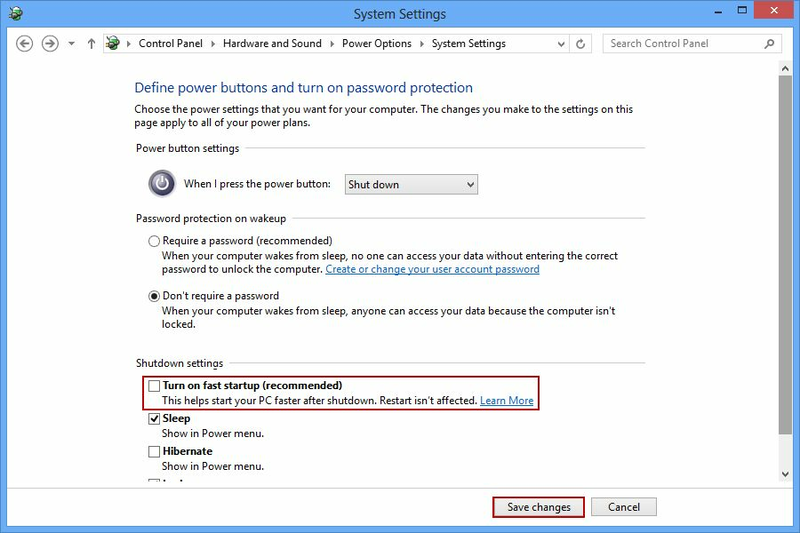 4) In the "Shutdown settings", uncheck the "Turn on fast startup (recommended)" check box, and then click the "Save changes" button (Figure 1-4). 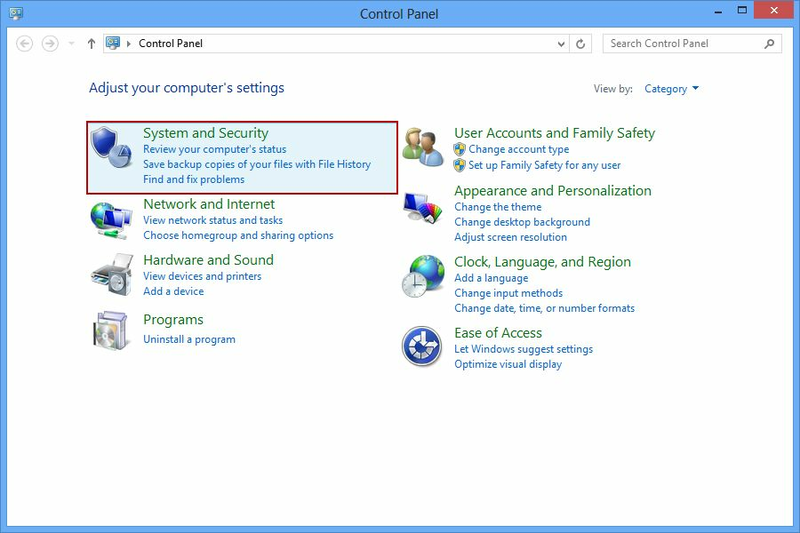 After doing the above steps, you can shutdown Windows 8 normally.